So you dream of getting Rapunzel-like tresses, but your hair isn’t cooperating with you? Well, you’re not alone. First and foremost, you need to understand that you cannot grow your hair overnight. Hair strands grow a quarter of an inch every month on an average. Apart from that, genetic factors and general health and well-being also affect the hair growth significantly. So how to grow hair faster? We’ll tell you! Just keep reading! Instead of going for expensive hair growth treatments, why not try some holistic home remedies that are safe and better still, inexpensive? Below we’ve jotted down a few useful home remedies to grow your hair faster. Take a look! Coming packed with protein and minerals like sulfur, iron, selenium and zinc, the egg is one of the best natural ingredients for hair growth. Whisk an egg and add four tablespoons of grapeseed oil and four drops of lavender oil in it. Apply it on your hair and scalp and leave it for an hour. Wash it off with water and then shampoo your hair like usual. Alternatively, make a hair mask using the yolk of two eggs and two tablespoons of extra virgin olive oil. Apply it on the hair and scalp and leave it for 20 minutes. Next, wash your hair first with cold water and then shampoo as usual. Herbs like stinging nettle, catnip, sage, peppermint, horsetail, and rosemary, in particular, are excellent for hair growth. The polyphenols and anti-inflammatory properties of these herbs improve the circulation, thereby stimulating hair growth. Make a herbal infusion by steeping any of the herbs mentioned above in hot water for at least 20 minutes. Use the infusion as a final rinse after shampooing and conditioning your hair. In addition to encouraging hair growth, this rinse will also make the hair soft and manageable. The antifungal and anti-bacterial properties of aloe vera will fight dandruff and restore natural sheen, giving you healthy and strong mane. You just need to mix the juice of half a lemon with fresh aloe Vera gel and apply on your scalp. Leave it for 20 minutes and then wash it off. Repeat the method once or twice a week. Or, combine aloe vera gel with equal qualities of wheat germ oil and coconut milk and apply on the hair and scalp. Wash it off after an hour. The high levels of vitamin E and omega three fatty acids in avocado will moisturize and add body to the hair, giving you thicker and longer hair. It will also improve the overall health of the hair shaft. Make a hair mask by mixing one mashed avocado, one mashed banana, and one tablespoon olive oil. Apply it on your scalp and leave it for 30 minutes so that the nutrients are absorbed in the scalp. Rinse it off with water and then wash your hair with shampoo. Or, mix half of ripe mashed avocado and two tablespoons of wheat germ oil and apply on freshly shampooed hair. Leave it for 20 minutes and then wash it off with water. Castor oil is one of the best oils for hair growth. Its high viscosity coats the hair thoroughly and protects against hair fall, while higher levels of fatty acids and vitamin E promote growth. Heat equal parts of coconut oil and castor oil, apply it on the scalp and massage in circular motion. Use a comb to distribute the oil and remove the tangles. Cover the hair with a cloth or towel moistened with warm water. Leave it for an hour and then shampoo your hair. Follow the method twice every week to get thick and lustrous locks. 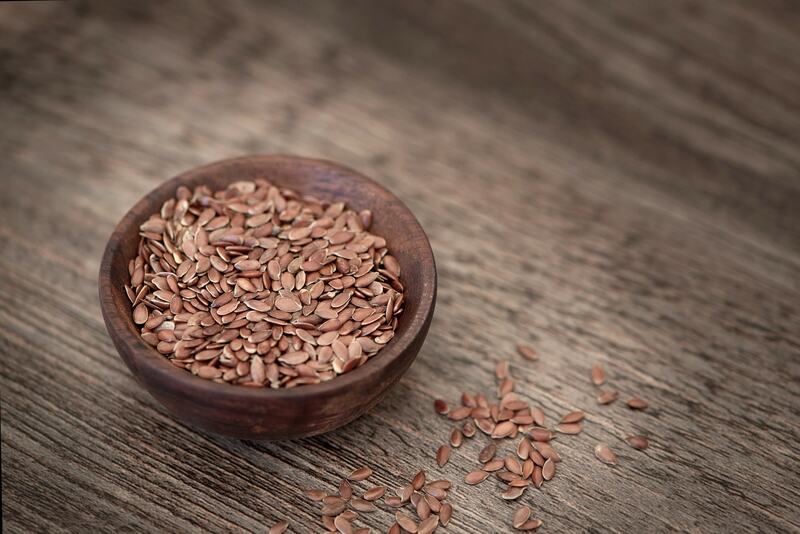 Being rich in protein and omega three fatty acids, flaxseeds can help you grow hair faster naturally. Soak one-quarter cup of flaxseeds in water and leave it overnight. The next morning, boil the soaked flax seeds in 2 cups water. When the consistency turns foamy, turn off the heat and strain the mixture. Add a few drops of rosemary essential oil to it and leave it to cool. Use the mixture as a hair gel. Onion juice is one of the most potent natural remedies to grow hair quickly and naturally. It contains sulfur that promotes collagen production, which in turn contributes to faster hair growth. Chop onions into small pieces and extract juice from it. Apply it on the scalp, leave it for 15 minutes and then wash it off. Repeat the method twice or thrice a week for best results. Having strong and long mane doesn’t just depend on the products you put on your hair, but also on what goes into your body. Hence, to promote a rich hair growth, you need to feed your body from within. A diet rich in nutrients, vitamins, and mineral is a prerequisite to healthy hair. So you must include foods rich in protein, iron, copper, zinc, magnesium, selenium and vitamins A, B, C and E to make your hair grow faster. Foods like chicken, eggs, milk, yogurt, cabbage, grapefruit, oats, avocado and green leafy veggies will nourish your scalp and hair to expedite the hair growth. Foods rich in omega three fatty acids like flax seeds, nuts, fish, and olive oil are also excellent for hair growth as 3% of the hair shaft is made of omega three fatty acids. And do keep yourself well hydrated. Lack of hydration makes the hair brittle, dry and prone to breakage. And when the hair breaks, it becomes increasingly difficult for it to grow. So drink at least two liters of water every day. You should even try to replace soda, coffee, and alcoholic drinks with water whenever possible. Getting regular trimmings won’t help the hair grow faster, but will keep the tips healthy looking and will prevent the split ends from moving their way up strands. Split ends weaken the hair, causing breakage high up on the strands. Heat coconut oil and apply on your scalp and hair. Rub the scalp gently in circular motion for 5 minutes. You should also cover the front, back and even sides of the head while massaging. It has an added benefit of reducing stress and making you feel relaxed and calm. How often do you shampoo your hair? If it’s every single day, then you may need to rethink the way you wash your hair. Shampoos are formulated to wash away dirt and product buildup. But in the process, it also washes off the natural and protective oils that keep the hair strands healthy and strong. So refrain from shampooing more than thrice a week. 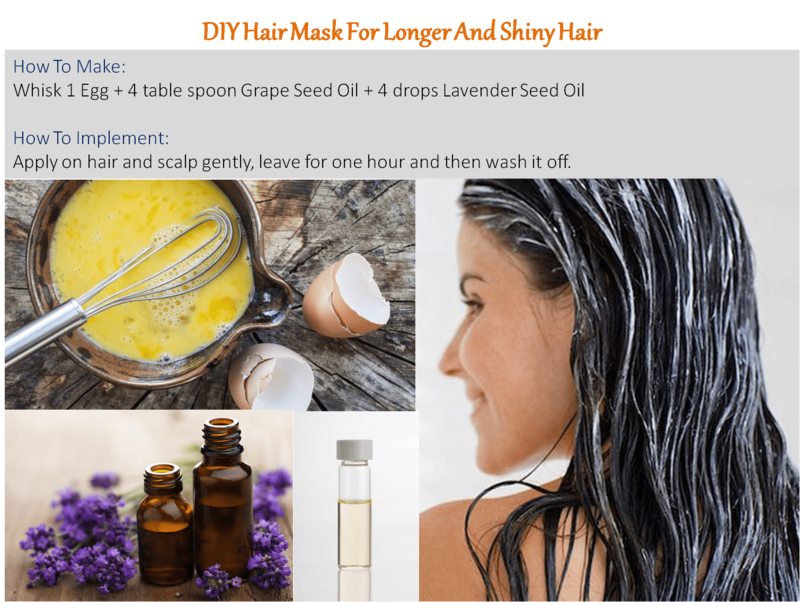 Or if you want, you can make a homemade shampoo to make your hair grow hair faster. Homemade shampoos are safe, inexpensive and will prevent further damage to the hair. All you need to do is mix one tablespoon of baking soda with two cups of water and use it just like your regular shampoo. It will effectively remove dandruff, buildup and excess sebum, giving you a cleaner and healthier scalp and hair. So we just made your hair care routine a lot simpler, isn’t it? Blow drying the hair every day to get a sleek and glossy look may look tempting, but it’s also one of the easiest ways to thin out the hair. The damage caused by hot styling tools is irreparable. Apart from making the hair dry, dull and frizzy, styling tools also shun the natural growth of the hair. So stop following trends blindly and embrace the natural texture of your hair. And if you must use it, decrease and temperature and use a heat protectant. It will reverse the damage to a large extent. Also, avoid products that contain silicones, sulfates, and alcohol as they strip the natural oils and dry out the hair, making it brittle and fragile. Shoulder length hair is believed to be several years old and requires a tender loving and care that goes beyond shampoo and conditioning. Oil conditioning treatment serves the dual purpose of promoting hair growth and keeping it soft and strong. To make an all-natural pre-shampoo oil treatment, mix 1 cup of unrefined coconut oil with one tablespoon each of jojoba, almond and macadamia oil. Apply the treatment on damp hair from roots to tips and leave it for 30 minutes to an hour. Next, shampoo your hair like normal. Sometimes, it may be difficult to get the right amount of hair building nutrients from the diet itself. It’s here hair supplements come in. Take supplements of folic acid, omega three fatty acids, protein, B-complex vitamins, biotin and fish to augment hair growth. Multivitamins labeled and formulated ‘for skin, hair, and nails’ can also support hair growth. 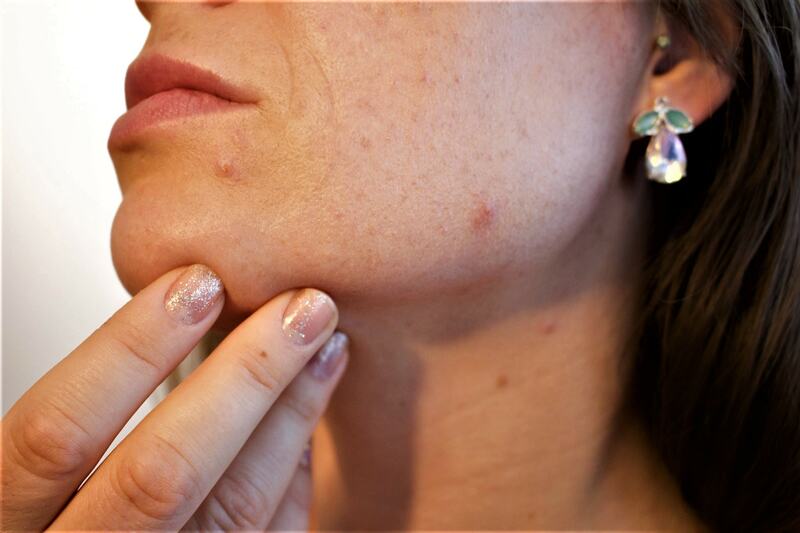 But before taking any of these supplements, ensure that you consult with a dermatologist. If your pillow is covered with a cotton pillowcase, swap it right away with a satin pillowcase. Satin or sateen fabric has a soft surface, which doesn't cause friction like a regular cotton pillowcase. This will result in fewer tangles and breakage. And less breakage means longer locks. A steamy shower doesn’t just wreak havoc on the skin, but is rough on the mane too. Celebrity stylist Mark Townsend firmly believes that rinsing the hair with cold water after every shower helps the hair grow faster and keeps it healthier for longer. Cold water lays down the outer layer of the hair smoothly and seals the cuticle, preventing heat damage, moisture loss, and snags. Stress is one of the leading factors that contribute to hair loss. It disrupts the normal hair cycle and forces it to enter the telogen or fall out phase. So if you want mermaid-like hair, you need to find ways to make your life calmer and stress-free. Meditations, breathing exercises and music are the best techniques to alleviate stress. Your efforts to grow hair faster will get no results if you’re suffering from an underlying health condition, like, thyroid disorder, seborrheic dermatitis, or severe infection. Medications like birth control pills, antidepressants, beta-blockers, anticonvulsants and anabolic steroids can also contribute to hair loss. So you need to identify the underlying issue first and address it properly so that it does not hamper your natural hair growth. Don’t forget to get 8 hours of beauty sleep in your quest to grow the hair faster. Sleep releases growth hormones, helping you grow hair faster. And before going to bed, give your hair a few strokes with the hairbrush. Start from the scalp to distribute the natural oil of the scalp evenly onto the hair. This easy step will increase circulation, making the scalp healthy and naturally moisturized. And a healthy scalp means faster hair growth. Boar bristle brush is a type of brush made with natural fibers that resemble the texture of human hair. It pulls the natural oil secreted by the scalp all the way down to the tips of the hair. This way, it protects the mane from roots to tips and keeps it strong and healthy. You just need to put the brush on one section of the scalp and rub it back and forth to pick the natural oil. Keep stroking the hair until it looks smooth and glossy. Continue the process until you’ve brushed and massaged the entire scalp. Note: Do not brush your hair right after coming out of the shower. Hair stretches and breaks easily when it’s wet, causing it to thin out. These pro-recommended home remedies and tips will help you grow hair in no time. Have you tried any of these home remedies or tips? Did it help you? Let us know by commenting below.